Because sitting is the new smoking. What is this, a workplace for ants? You've probably read by now that sitting is the new smoking, meaning it's really quite bad for our health. In fact, a study found that for every hour of seated TV watching we enjoy, we cut about 22 minutes from our life span. Even if you're not a couch potato, you might still work in an office and sit at a desk for eight (10, 12?) hours a day. One option would be to quit and get a retail or hospitality gig, though really, that's not very practical. Instead, we've asked a pro to help us better your posture at work. 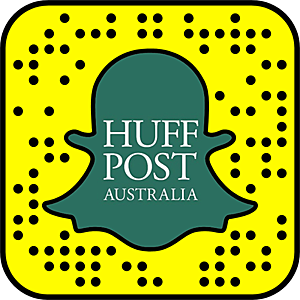 "Posture at a desk is critical, especially with the lengthy hours most of us spend at work these days," Chiropractor Dr Rick Schlederer told The Huffington Post Australia. 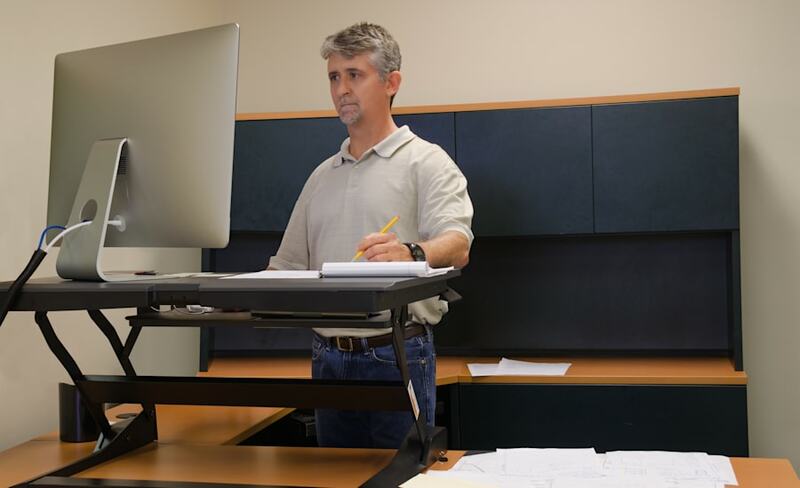 "A stand-up desk is a good option if it's available, but there are a few other ways to avoid the "slumping forward" posture most people inevitably lapse into." This is a stand-up desk. Ugly, but effective. Move around off your chair every 30 minutes at least, though ideally every 15-20 minutes if practical. Try getting up and grabbing a glass of water or walking for a couple of minutes in that time. 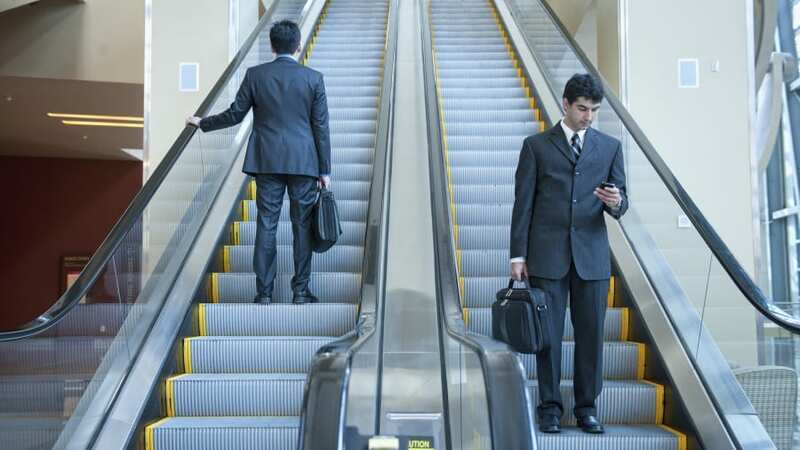 Set your alarm on your phone or desk to remind you that it's get up and walk around time." "Second, focus on bringing your head back to sit over your shoulders, not bringing your shoulders forward to meet your head position. The effect of having your head drop too far forward is scientifically proven to increase it's weight load on your shoulder and neck muscles by around seven times or more. For example, if you hold a heavy object in your arms out in front of you with your arms straight it is a lot heavier and tiresome than it is when you hold the same object right up against your body," Dr Schlederer said. It's also important to stretch in your chair. Not just once a day, but regularly. "Stretch your arms up and invert your palms skyward as you tilt your head back to look up to the ceiling, and hold for 10 to 20 seconds. Repeat this regularly. The goal is to imagine a piece of wire or string is attached to the crown of your head and is being pulled directly up, giving the nice tall posture that engages all the right core muscles and takes load off the smaller accessory muscles in your neck and shoulders." Taking the time to stretch regularly is paramount. "If needed, start with a small rolled up towel behind the small of your lower back to get the feel for what the right posture might be. As with anything if there is any pain or discomfort, seek advice from your Chiropractor or health practitioner," Dr Schlederer said. "Monitor height should always aim to have the eyeline of the person with the centre of the screen, as well as having the screen directly in front of the person, not off to the side. In cases where multiple screens are used, make sure you turn your body to be square onto the screen being used. Place some books or the like under the monitor if needed to raise the monitor to the ideal height," Dr Schlederer said. Suzy is too slumpy -- her laptop needs to be higher. "Feet should not be crossed as it promotes pelvic rotation and switches off key postural muscles. Crossed feet usually indicates that the person might have pelvic rotation issues, as it's very common for feet to be only crossed one way -- usually if attempted the other way it feels 'weird' for the person. Feet should be comfortably flat on the ground or if needed a slightly angled feet support to help keep the thighs and lowers legs relaxed." Next up it's time to take a look at your trusty office chair. "Some people really like chairs with arm rests, but really the arm rests promote slumping off to one side and uneven posture. So ideally, no arm rests." "Others also benefit from kneeling chairs where you place most of your weight through your thighs and knees via the supports. Realistically any chair that doesn't have arm rests, can adjust in height and has enough support for the buttocks will work, especially if you have applied the other tips indicated earlier. Swiss balls or the equivalent have been popular also as they promote people holding good posture otherwise they fall off," Dr Schlederer said. 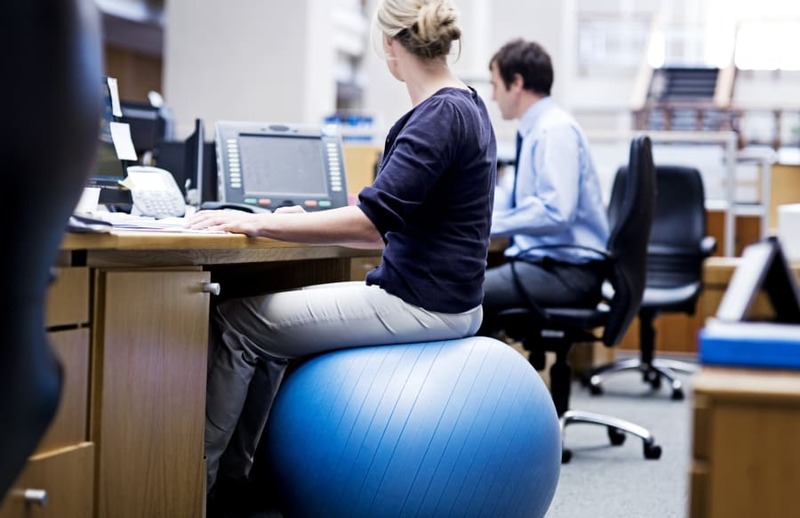 Swiss-balls were all the rage in office seating a decade ago. They are effective, but a regular good quality chair will do. "The best stretches and movements that one can do at work is to do single plane movements of the neck. Never roll your neck in a circular motion as this can be damaging." "Basically turn your head slowly (to the count of 3-5 seconds) from side to side, then tilt your head to each side and flex and extend the neck a few times in each position though the best stretch really to tilt your head back and let it reverse what it's been doing for hours and let it relax while looking up at the sky. Hold for a minute if you can," Dr Schlederer said. "While you push your chair back from desk a bit to give room, lift one leg across the other while interlocking your fingers over the top of the knees. While you bring the knee across to the opposite shoulder direction, make sure you don't slump your shoulders forward. You should feel a good stretch in the gluteals or buttocks which can really take the fatigue out of your legs and back while helping maintain good posture," Dr Schlederer said. Another thing to consider is how much you look down at our mobile phone. We're willing bet it's a lot -- think about your commute, sitting on the couch and even on the toilet. Don't lie, we know you do it. Looking down at your phone is bad news for your neck and back. "This is really becoming an epidemic and it's not only sad but distressing to see how much this is changing the shape and function of people's neck's and spines, not to mention the lack of personal engagement people are missing by not even making eye contact anymore." "Kids at very young ages now are getting very bad habits looking down at screens for long periods. The impact on posture is dramatic. Losing the Cervical lordosis ("C" shape) in your neck has significant impact on people's health, including possible symptoms of headaches, muscle strains, and osteoarthritis of the spine over long periods," Dr Schlederer said. "Sitting for long periods of time puts more load on the lower back intervertebral discs than when you stand or lie down. Poor posture fatigues the muscles more which in turn fatigues the body, so focus levels and productivity can be adversely affected." "If you want the most out yourself, your family or your workers, the best thing to do is to address these postural issues, spend less time on the phone, move your body more and get any postural misalignments checked and adjusted by your Chiropractor or preferred health practitioner," Dr Schlederer said.